Street Fighter is a legend, and taking advantage of the celebration of its 30th anniversary, Capcom wanted to honor the franchise with a compilation that includes 12 of the most legendary games in the series. It also invites players to compete online with some of the main episodes. In the analysis of Street Fighter 30th Anniversary Collection we will see if it is worthy of the celebration. In terms of compilations, there are many companies that do not hesitate to take advantage of the nostalgia of users to get resell old productions today, and Capcom, in many cases, has been a teacher in the present matter. Proof of this, the re-release under the name of Ultra Street Fighter 2 of the legendary Super Street Fighter II X on Nintendo Switch. Who was going to tell the firm that the reception of the old 2D wolf was going to be so well received by the nintendera parish? Today the thing is different: I think Street Fighter 30th Anniversary Collection is the videogame that every follower of the Street Fighter franchise should have on their bookshelf, since it collects what are undoubtedly the chapters that began the legend of the series during the nineties. The saga Street Fighter II, Street Fighter Alpha and Street Fighter 3, in addition, are accompanied by many unknown Street Fighter original, which in 1987 began, without knowing it, the legend of Ryu and Ken . Street Fighter 30th Anniversary Collection includes in a single disc Street Fighter, Street Fighter II, Street Fighter II ‘: Champions Edition, Street Fighter II’: Hyperfighting, Super Street Fighter II, Super Street Fighter II X, Street Fighter Alpha, Street Fighter Alpha 2, Street Fighter Alpha 3, Street Fighter III, Street Fighter III: 2nd Impact and Street Fighter III: Third Strike. Online modality has been included for Hyperfighting, X, Alpha 3 and Third Strike, becoming the best claim for the most experienced fans. Respect for the legacy: As a lover of the Street Fighter franchise, something that has excited me about Street Fighter 30th Anniversary Collection (and what I usually miss in many compilations of similar nature) is the respect that the title oozes for the honoree. Beyond being able to enjoy the ports of the original arcades, the video game includes a great interactive infographic of the franchise that covers the 30 years of Street Fighter. There we can access the main releases and milestones of the series, including the premiere of the main games, products or movies. Time to remember the most mythical combats of the saga in Switch, PS4, One and PC. Each of the present sections are illustrated with material from each release, making up what is probably the most complete collection of Street Fighter graphic material that has been seen in the nearly 31 years of franchising. Each of the games included in the pack has its own section, and allows us to know some details about its development, access to tricks or the ability to listen to all your music or enjoy, sprite by sprite, special attacks of all your protagonists. It is the most complete Street Fighter graphic compilation work we have seen.What I miss in Street Fighter 30th Anniversary Collection is that it has not been chosen to include the final versions of the games included in the pack. For example, Street Fighter Alpha 3 had a version that included fighters from Capcom VS. SNK 2, but we have opted for one of the intermediate versions of the CPS-2 game; I find the absence of Street Fighter Zero 2 Gold, which fitted the fighters of Alpha 2 and included Cammy; also the absence of Hyper Street Fighter 2, launched to celebrate the 15th anniversary of the series. The compilation bet by the direct emulation of the games , for what it completely avoids the domestic conversions of the productions and the own game modes of these versions (like the mythical World Tour of Zero 3). 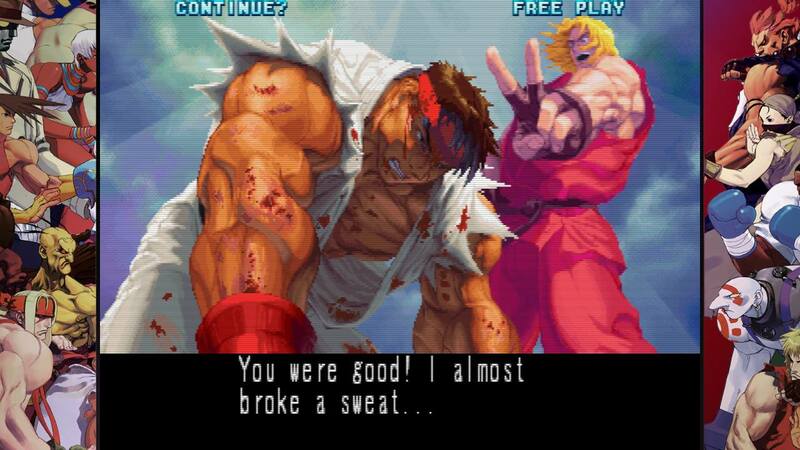 Street Fighter Alpha 3 with online may well justify the purchase of the compilation. The way of the starCan you be accused of absences? 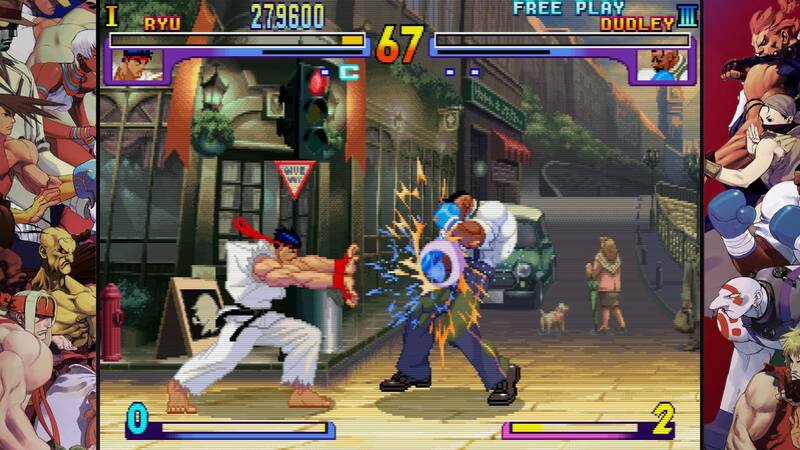 I can understand that the presence of the EX franchise is not in the hands of Capcom, but perhaps it has missed a great opportunity to turn Street Fighter 30th Anniversary Collection into a compilation of classic games and rarities of the franchise. For example, the 15th anniversary compilation (which only included Hyper Street Fighter II and Street Fighter III: Third Strike) featured the anime movie on the disc. 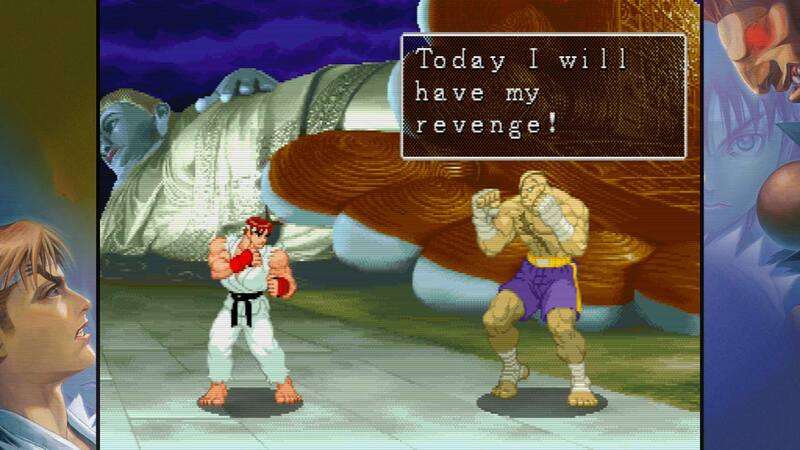 It would have been great to have her or enjoy a chapter of Street Fighter II V here, but that has not been the case. Many of the games had not been reissued for more than 15 years. A decision that will please the fans of the series. I would have loved to compare the Street Fighter II with its 16-bit conversions on the same disc, access the Street Fighter released in Saturn inspired by the monitored cyborg of the animated film of the mid-nineties or worship the delirious video game of the film of Van Damme, but the reality is that none of the capital games has failed. As I explained, the inclusion of the different titles has been done through the original roms, and that has not helped create more variety than the mere dispute of the arcade mode or the different versus. The version of PS4, Xbox One and PC includes a copy of Ultra Street Fighter IV; the switch gives access to the curious Tournament Edition of Super Street Fighter 2. The compilation is committed to the direct emulation of the games.A training mode has been included for those included in the online mode, but it has been ignored for the rest. Although in the days before the premiere of the game everything seemed to be great online, the software has been suffering some connection problems during the days after the premiere. It is expected that it is a question of the premiere of the title itself and that it remains anecdote, but it would be worthwhile to be attentive to the evolution of the video game’s performance in the coming days. The idea of ​​doing online the four main games of the series, in fact, is consistent, but we are many players who miss Street Fighter Alpha 2 among the selected: it is an excellent title that presents enough differences with Alpha 3 as to have their own corner in the collection, and it is a pity that has not been taken into account. 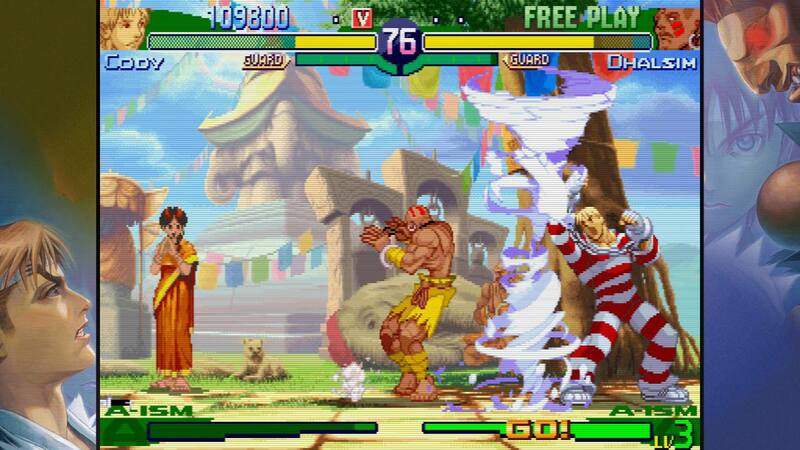 A must-have collectionIt is true that Capcom never loses the opportunity to take advantage of its classics, but it is also true that in Street Fighter 30th Anniversary Collection there are many games that justify the existence of the present pack. For example, the Alpha franchise did not have a compilation since the time of PlayStation 2, Street Fighter III and Second Impact we did not see them from the W Collection of Dreamcast, and the Street Fighter of 1987 was always relegated to the compilations of past classics of the Japanese firm. It is true that we can throw things in the face of the new Street Fighter compilation, but it is also true that few tributes have been as complete as the present. Capturing in a single disc all the chapters that made the franchise great in the nineties is a luxury for which it is worth investing. Capcom hits with a compilation that takes the main chapters of the saga II, Alpha, III and the original Street Fighter, an authentic rarity for many fans of the genre. 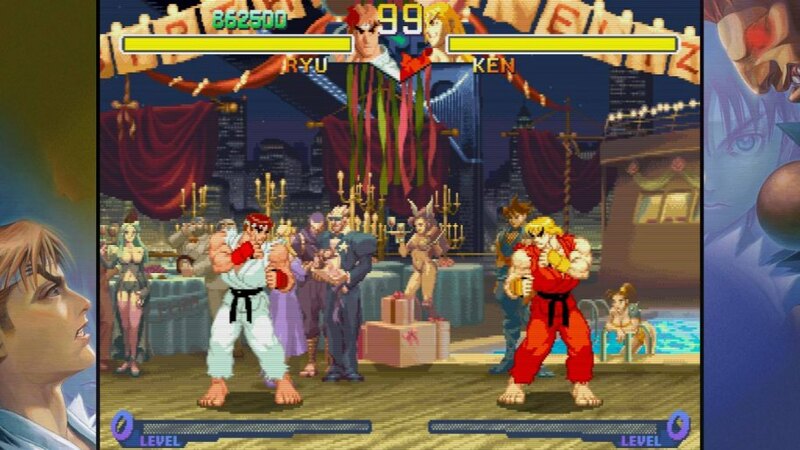 Although I could have bet on the most updated versions of the classics or the strangest and weirdest games released in the last 30 years, the reality is that none of the main chapters are missing in the Street Fighter 30th Anniversary Collection. If the online behaves, we will have reasons to remember the most famous titles of the 2D franchise for a long time.